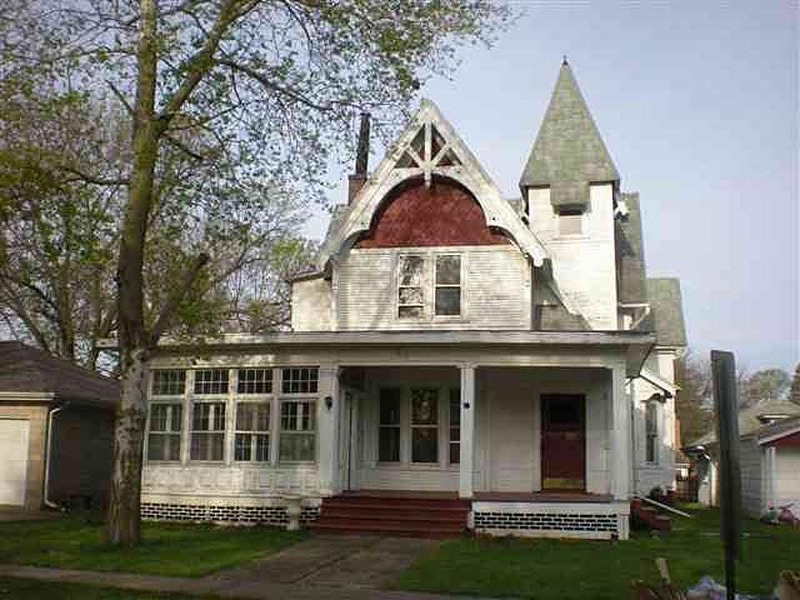 This Victorian charmer with over 2800 square feet has a corner lot location in a great neighborhood near the local high school and city park. It features large rooms including a living room with fireplace, library, formal dining room, kitchen, breakfast nook, office, 5 bedrooms and 2 full bathrooms. 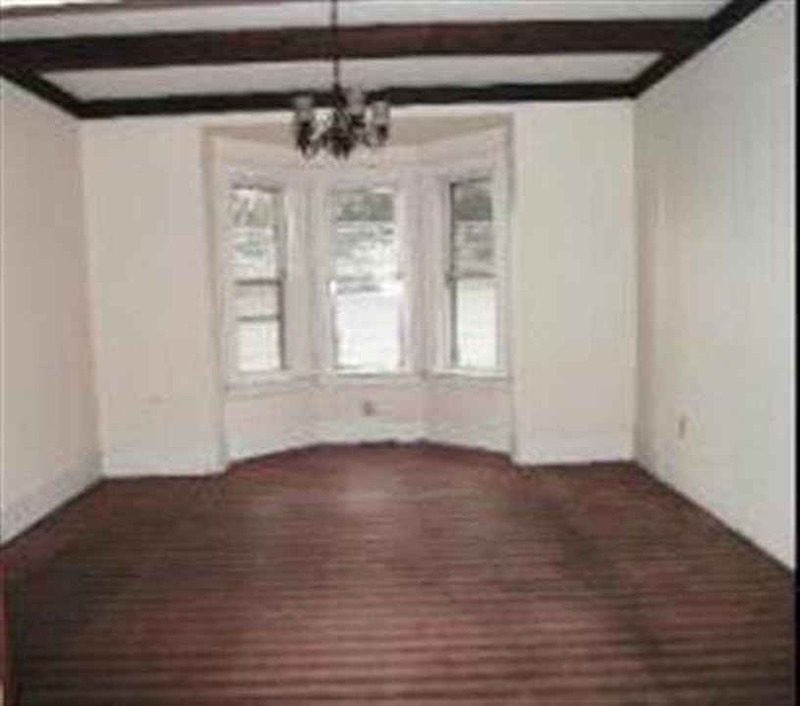 There is a beautiful covered front porch and a large enclosed porch/sun room. 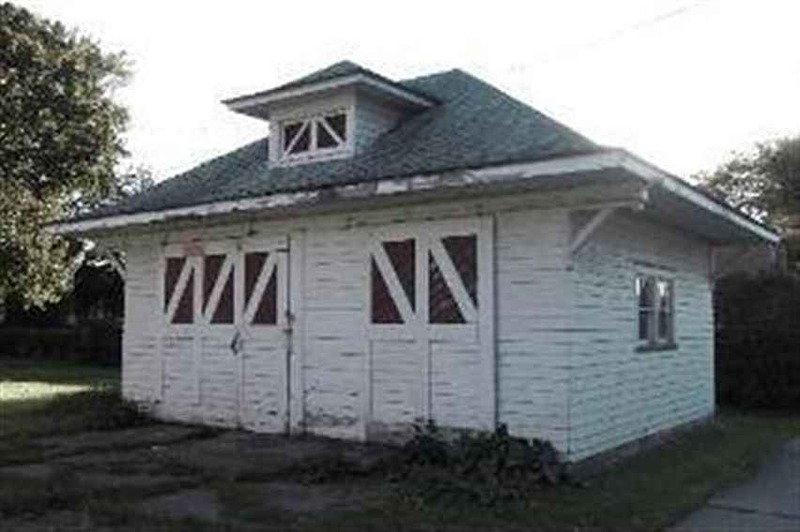 It also offers a 2+ car detached garage (26' x 36') along with a separate (18' x 22') workshop/storage shed. Take a look at this large family home today! 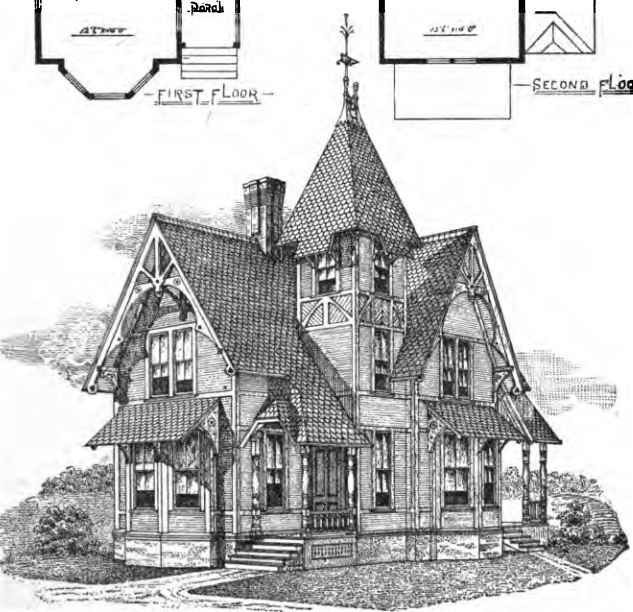 Plate from Palliser’s Model Homes planbook. Yes, I remember seeing this illustration before, but I don’t think I wopuld have realized this was the same design if you hadn’t pointed it out. Now that I know, I see that it’s actually quite faithful to Pallisers plan, at least on the exterior. Looks like they enclosed the original entry porch and added a large new porch to the front. I’d go back to the original layout if I owned this place. 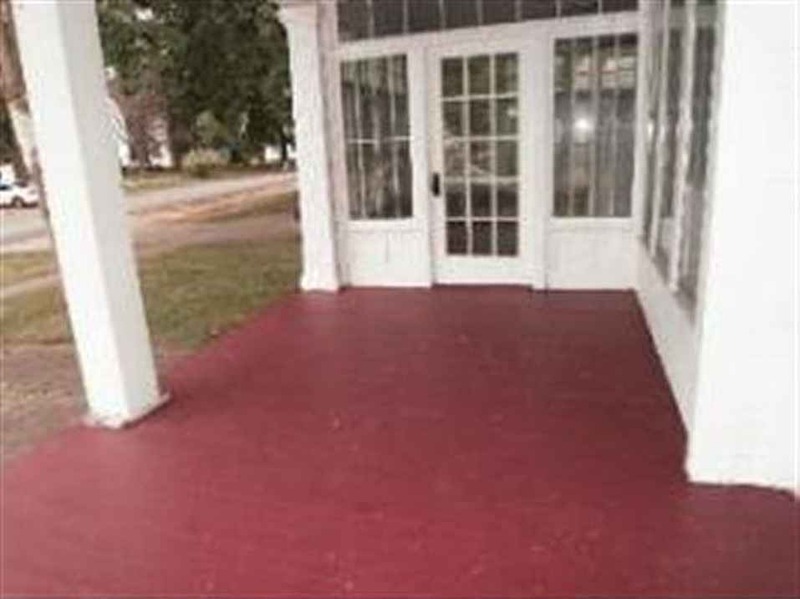 Doing that and properly painting the exterior would go a long way toward making this place shine. Too faithful to the Palliser design to be anything else. 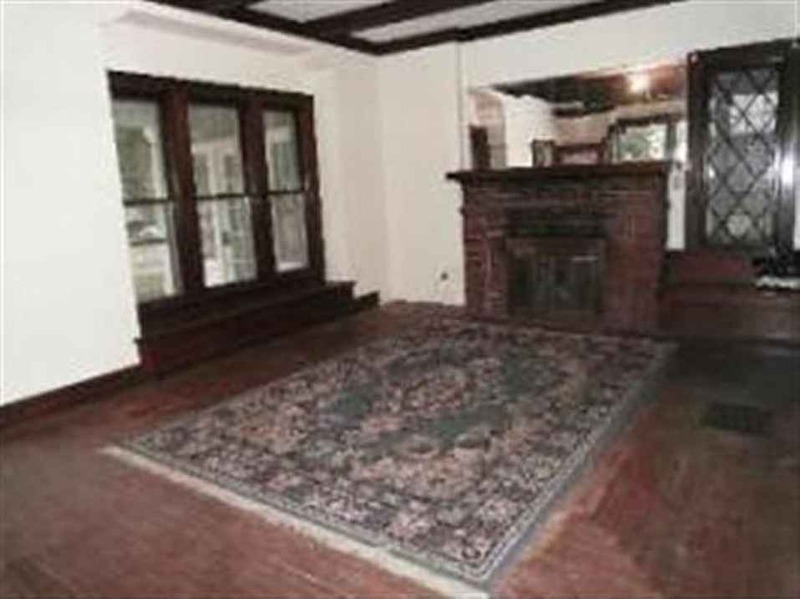 However, it looks like the house was “de-Victorian-ized” sometime between 1910 and 1920. 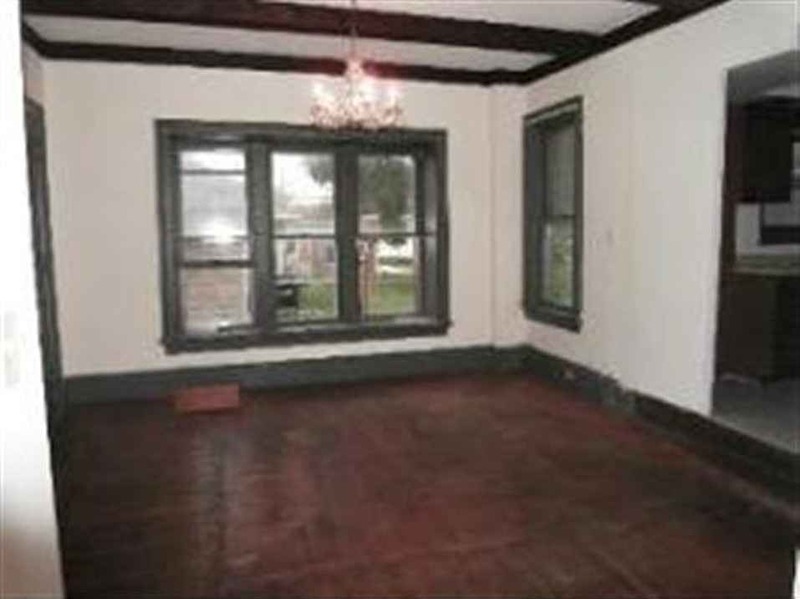 Pity, because the original interior was probably interesting and ornate but the same kind of makeover occurred in many thousands of Victorian homes to satisfy their owners’ wishes to stay up to date. It was a time when national architectural and style critics of the day lacked anything positive to say about Victorians except to express sympathy towards anyone unlucky enough to live in one. So what you end up with here is like a Peacock with it’s beautiful tail feather plumage missing. There are extant examples of this Palliser design that have not been altered so drastically so if someone wanted to go back to period it would be possible albeit expensive. Poor house. It doesn’t seem to have much of itself left. 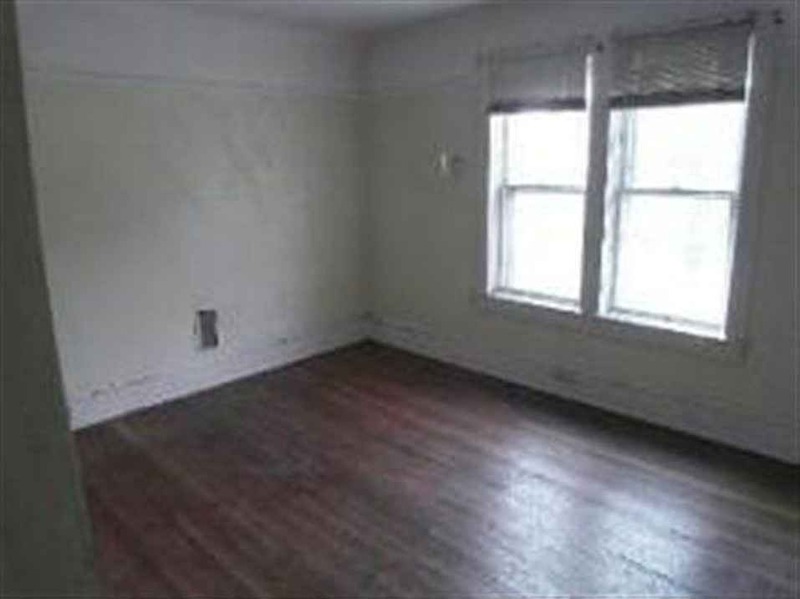 Both homes have a lot of potential, if someone is willing to put in the work/effort and money. 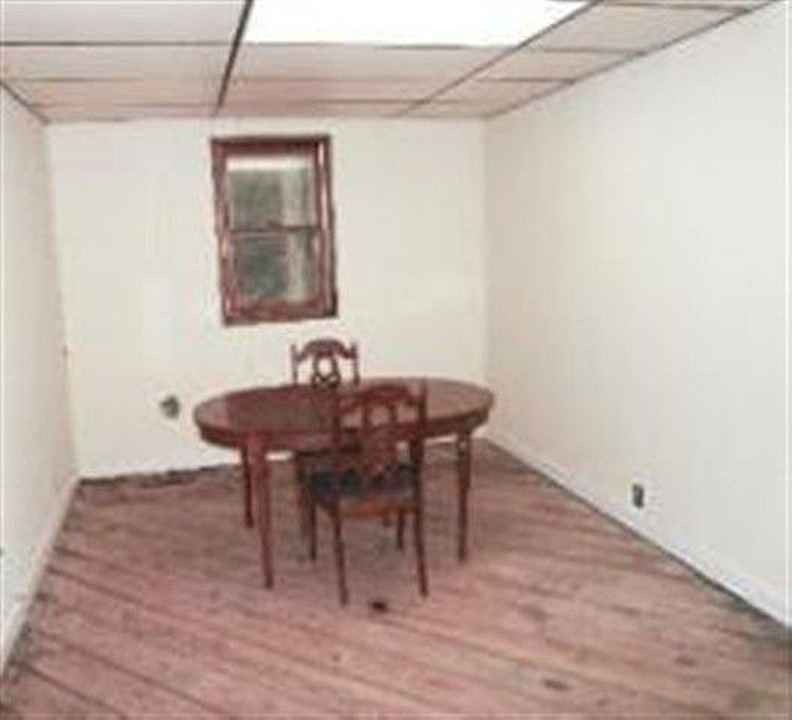 I almost hate to bring it up, as my wife and I are thinking of driving out and checking out this house, but it looks like this one is up for sale again, and the price has dropped noticeably. Same horrible pictures though, so hard to tell what the real condition is. I noticed the huge price drop, would love to know what it looks like today since these images are 2 years old at least. You are right about photos being deceiving. Looking at the street view this home looks huge but the listing photos are so few you’d think it wasn’t that big. 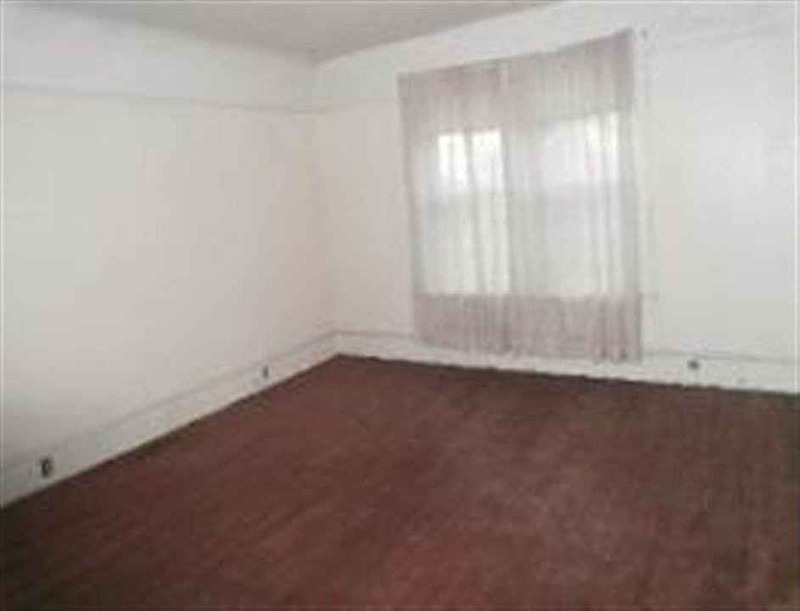 The price drop suggests the home needs a heck of a lot of work though. Let me know if the agent responds or if you visit the home. The photos are pretty true to life, and it is active again at the new 19,900 price. 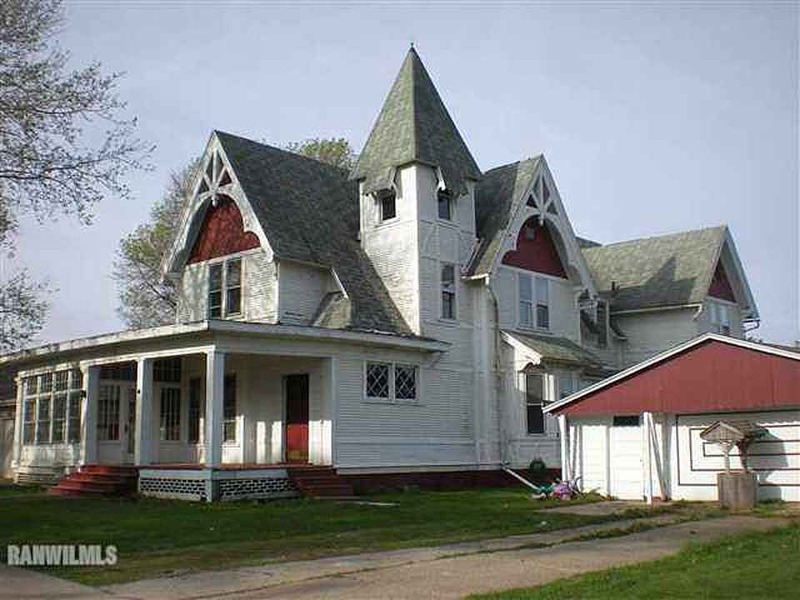 I’m rather torn on this house. I think John has it partly right, as it looks like it was changed, though I’d say maybe 50s-60s? Sorry, not an expert. 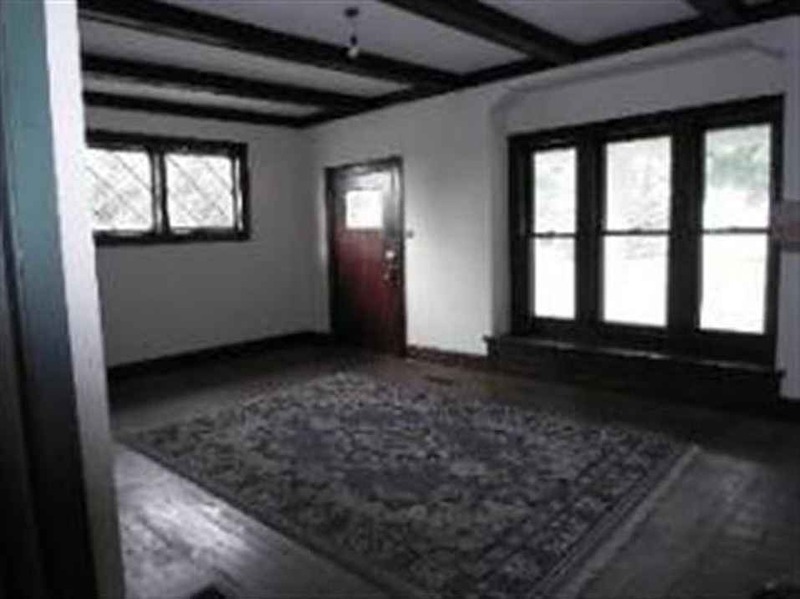 🙂 You can see the beamed ceilings that were done in 3 of the rooms on main floor. But pretty much all of the original moldings, etc have been removed, including the original main stairway. But there’s definitely a lot of nice features left, like the tower, and a few mysteries for someone to figure out. House is forced air with a new furnace in 2011, but there’s also a relatively new boiler in the back of the basement that has piping up to something, but no radiators are visible anywhere. 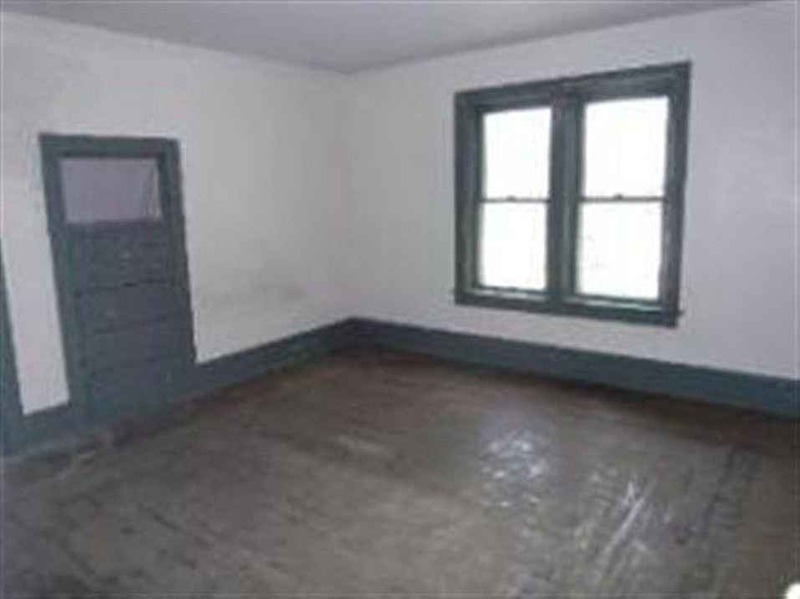 Tons of great old closets and rounded ceilings in upstairs bedrooms, and lots of room to work with. Great storage “closet” type arrangement in front room of basement that has probably been there since almost day 1. For some reason, that I wasn’t able to figure out without pulling off some boards, the kitchen is a step up from the rooms around it. Did not appear to be original. Around the same time that was done, someone closed off opening from dining room to kitchen by probably 28″. Refrigerator was right there, but it also appeared there was more space behind it too. Possibly just the ducting for the new forced air, but I’m not sure. Typical to the time, they added an ugly soffet then too. Joel, I have no idea about how the interior parts of this recently demolished Palliser designed house in Maine were disposed of but it might be worth using its (now archival) photos to have an idea how the Milledgeville may have once looked: http://www.oldhousedreams.com/2011/10/14/1890-stick-victorian-sanford-me-325000/ Of course, Palliser Bros. designs were basic house plans with suggestions for interior finishes but at least the Maine example was true to the period for the most part and provides possible interior details for this house. If you wanted these details incorporated into the Milledgeville house and luck was with you, they might still be warehoused in Maine or otherwise be available. Hi everyone. I’m sad to tell you the house was bought by the people living next door and they tore it down today (10/05/15). From what ive been told the house was built by the owner of the lumberyard. The house was used as a church at one time..might be when it was gutted of some of the Victorian elements and the stage appearance where the kitchen was located. The Schmidt family lived there in the 1960s era and built the garage you see in some pics. They ran a tv sales business in the sun porch. Last few years it has been home to several families who never stayed long. During the past winter water pipes frozen and flooded parts of the house. Reason the sale price was so low. Well that stinks! Appreciate the update though, guess I’ll mark this one was demolished. Truly sad, and with the example in Maine gone, Palliser Bros. plan book designed houses are becoming even rarer. I will soon post a “Please Save Me!” Illinois Italianate house on Facebook that approaches mansion level but is likely to disappear soon as some of its neighbors already have. Because the Midwestern U.S. continues to gradually lose population in the post-Industrial era, sad stories like this are becoming all too common. Illinois is especially negatively impacted because of its high tax situation due to state budgetary shortfalls. I have no solutions to offer I’m just being the messenger. I hope the best of those endangered survivors can somehow be saved before they are gone forever. The update for this one is appreciated. Thanks for the update, Tim. I definitely am sad to see it go, even if we decided against it. I do think it was probably a great deal for the neighbor though, so good for them. John, I’d certainly be interested in any information on other IL houses. We’re still looking for the right one for us.